November 12, 2018 (Last Updated: April 7, 2019) - As an Amazon Associate I earn from qualifying purchases. Need a quick and easy weeknight casserole dish? 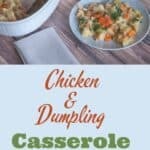 This Chicken and Dumpling Casserole is a great way to feed a hungry family and do it on the quick. 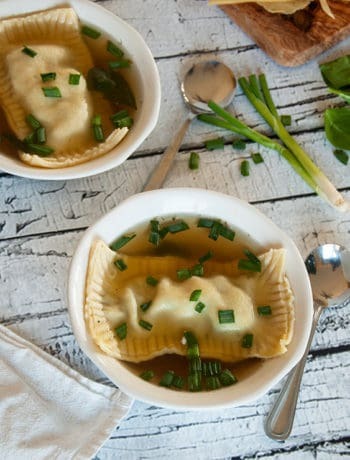 Knöpfle dumplings are an upper midwest comfort food and this recipe helps bring some of that comfort to a regular meal. 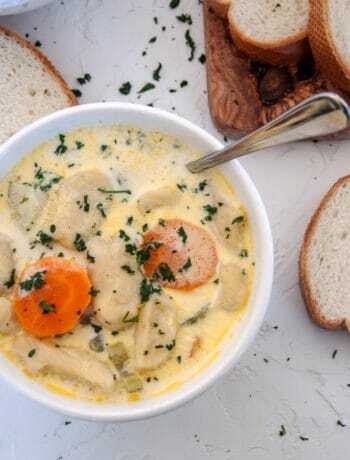 We have been covering Knöpfle soup and the flavors seem right to be transferred to a quick and easy casserole, so that is what we are going to do. 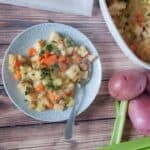 We are going to make a Chicken and Dumpling Casserole in a way where we still try and capture the flavors and spirit of Knöpfle soup, but make it an every-night easy meal. And don’t get me wrong… I am all about making things from scratch, like our homemade cream of mushroom soup, but sometimes we want something quick and easy. 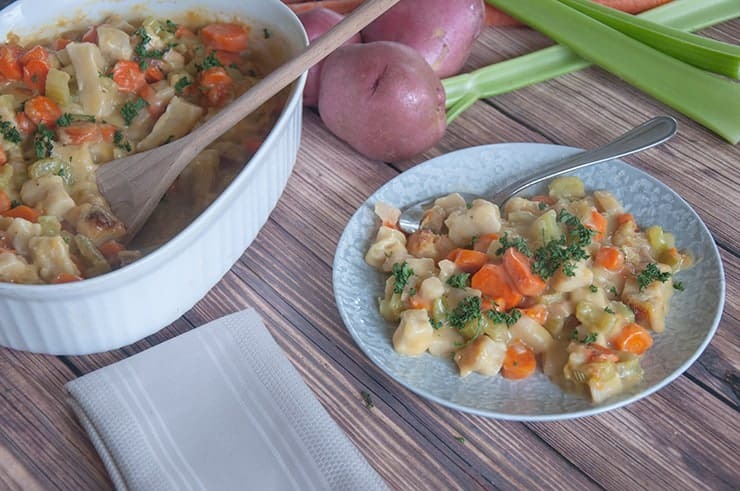 Our quick and easy Chicken and Dumpling Casserole – Knöpfle Style is just that. Yes, we are going to go down the canned soup aisle to get the base of our casserole. If you have a problem with that, this recipe is not for you. Knöpfle soup traditionally calls for potatoes and a chicken broth, so the answer is pretty clear of what we are going to include. Cream of Chicken and Cream of Potato. Additionally, most Cream of Potato soups have chunks of potato in them that really help add the feel and flavor of a midwest knöpfle soup. Already our chicken and dumpling casserole is shaping up! 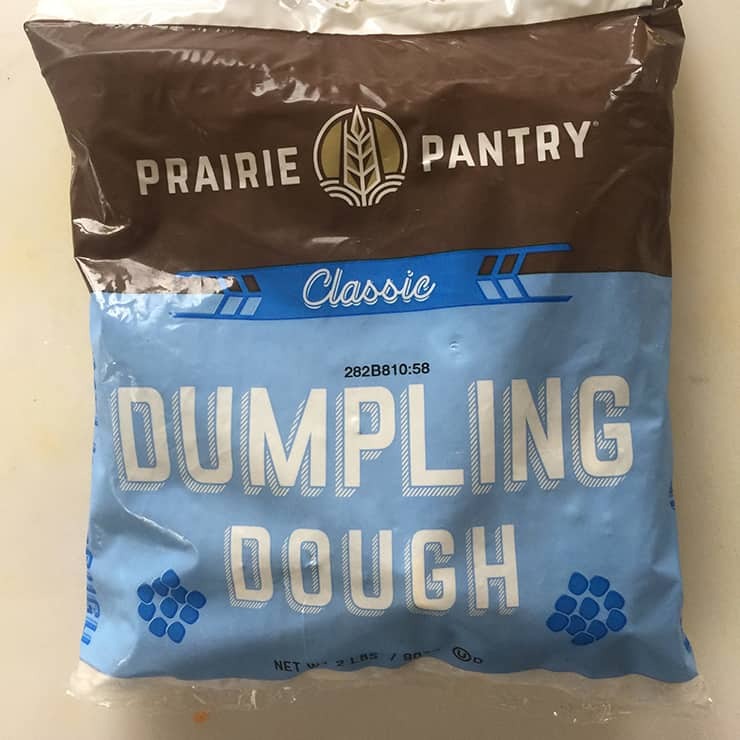 You should be able to find some frozen dumplings in the frozen foods aisle. It simply becomes a matter of opening the bag, measuring out our amount, and dumping into the ingredients. If you are feeling adventurous, the dumplings from our traditional homemade knoephla soup could probably be made and added here as well. The one area that I think we can keep fresh with very little effort is our vegetables. 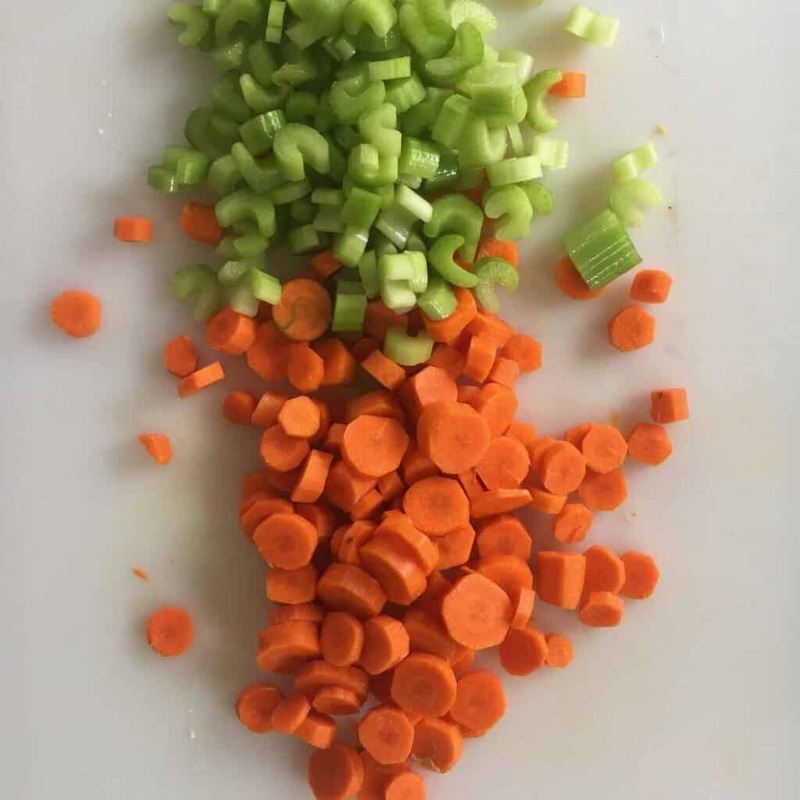 In keeping with the spirit of knöpfle soup, we only need to add celery and carrots to this dish. 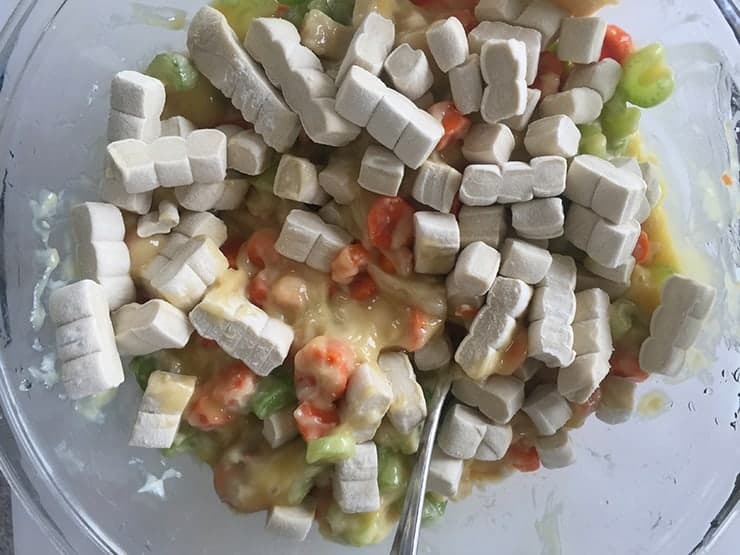 So, we are going to chop up a few veggies and just add them to the mixture. This is such a simple dish. Basically, we are going to take all ingredients and put it into a big, greased, casserole dish and bake it for about 1.5 hours. It really is simple and feeds 6 people. 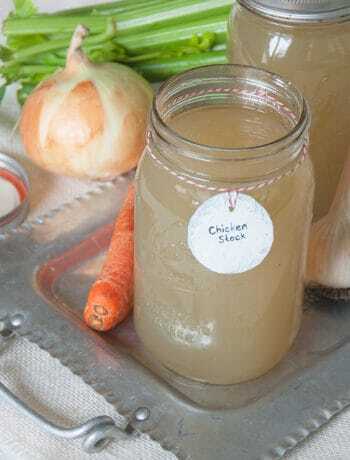 So, if you are looking for a super easy recipe that will feed your family, this is the recipe for you. As much as I love exploring the nuances of a recipe and making some of the most ridiculous ingredients (see my homemade tater tots), some nights are just about quick and easy. This Chicken and Dumpling Casserole, in the style of Knöpfle soup is just that. 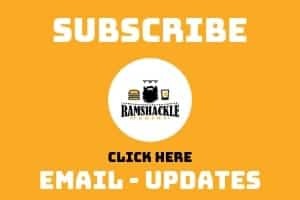 I hope you enjoy and if you like what I am doing here, please sign up to receive emails, follow me on Instagram, and follow me on on Pinterest. This is a quick and easy Chicken and Dumpling Casserole. There is almost no work in this dish and you can feed a hungry family with little effort. Oh, and it tastes pretty darn good.